While I am not the hugest Valentine’s Day person, I am a kind of a sucker for the love themed running accessories. Who am I kidding? I look for any excuse to buy running themed accessories. Here are a few cute gift ideas for your running BRF or for yourself. We runners do love to show off our favorite past time all the time. This beanie will do the trick. You may have noticed my love of Sarah Marie Designs here and I am thrilled to announce I am joining the ambassador team for 2019. Hope a few of these warm your heart on this chilly day! How do you celebrate your love of running on Valentine’s Day? Hi I'm Deborah! I spend my days successfully raising a husband & 2 teens in the VA/DC area. I am a lover of all things running & fitness. As a life long vegetarian, I've always been passionate about healthy living & exercise. 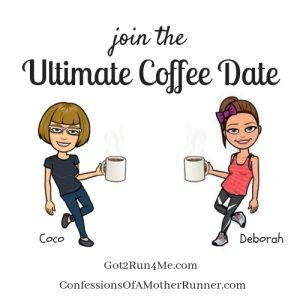 Looking for partners in crime, I started my own chapter of Moms Run This Town (MRTT) which has grown to over 700 members. I've met so many amazing women who inspire me daily to keep moving forward. You can usually find me running with my crew and training for the next crazy adventure they talked me into. I love to keep up to date on new running & fitness trends. I definitely choose my running gear based on color and love to express my fashion sense while exercising. Congrats on your ambassadorship! I love SM’s stuff. Love that beanie! Congrats on becoming a SMDS Ambassador! I didn’t get it this year but maybe next. She’s released so many cute items recently that it’s so hard not to buy everything! Super cute stuff! I love those nails! And the mug is absolutely precious! I’m also not a huge fan of valentines day. But I think that Run Jacket is super cute! We usually try to go on a date instead of giving gifts. Sometimes we will give each other our favorite treats or something though. LOVE the hat! I might need to get myself a Valentine’s Day present. lol! The hat is the first thing on my list! Love those candy heart nail wraps. They are the cutest! And those sneakers! These are so fun! Love those nail wraps. Thanks for the line up! they are super fun aren’t they?! My sister will love those nails! Okay, I LOVE all of this (no pun intended). I have a RUN hoodie that looks very similar, but no hat, mug or adorable shoes! Ha! I look for any excuse to buy running-related accessories too! Thanks for the great recommendations. Those are all super cute gift ideas. The hoodie is my fave. Congrats on the ambassadorship! Those are some awesome heart themed runner stuff! I always say Valentine’s day is a “made up ” holiday to boost sales! However, I do enjoy all the fun stuff around for the holiday. I love me some pink and red! Thanks for linking up! That nail art is amazing. I need to peruse her site m ore. I have a couple things, but I tend to go in to shop for the one thing rather than browse. My wallet might be grateful for that. The RUN hoodie is so cute! How do their sizes run, pretty true? Congrats on your ambassadorship! Successfully raising a husband & 2 teens in the VA/DC area. I am a lover of all things running & fitness. 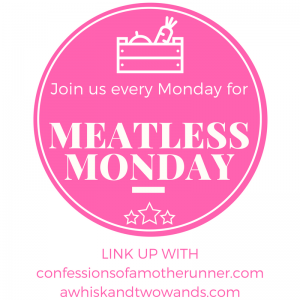 As a life long vegetarian, I’ve always been passionate about healthy living & exercise. 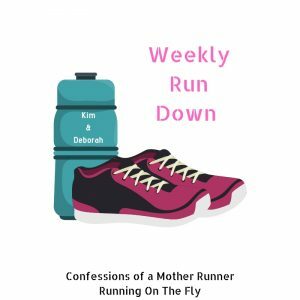 Looking for partners in crime, I started my own chapter of Moms Run This Town (MRTT) which has grown to over 700 members. I’ve met so many amazing women who inspire me daily to keep moving forward. You can usually find me running with my crew and training for the next crazy adventure they talked me into.